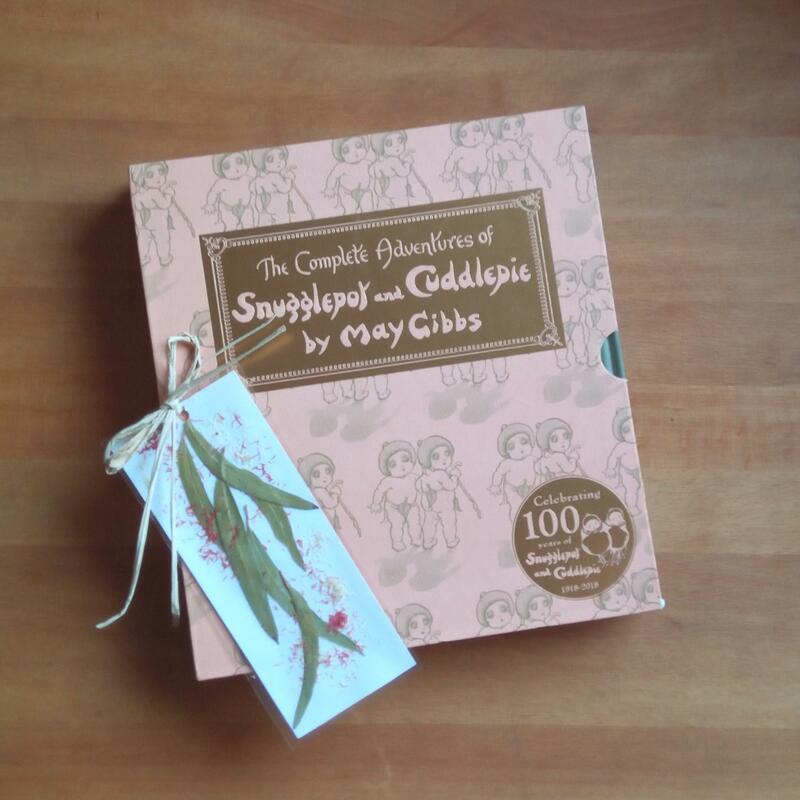 To celebrate the release the 100th Anniversary edition of The Complete Adventures of Snugglepot and Cuddlepie. 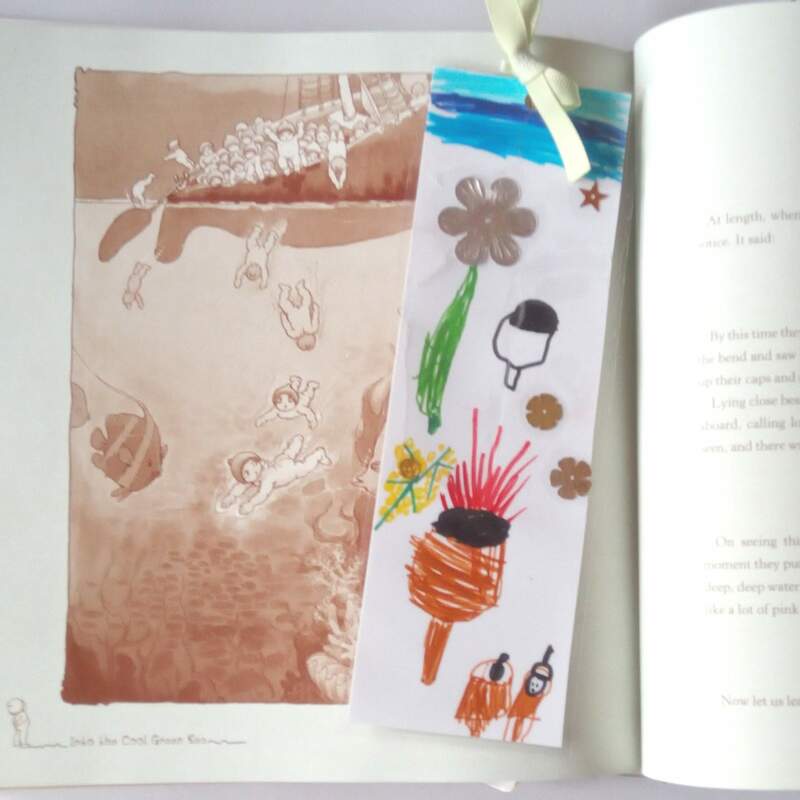 We made some Australian Bush inspired Bookmarks. This would be fun easy craft for a group or class. 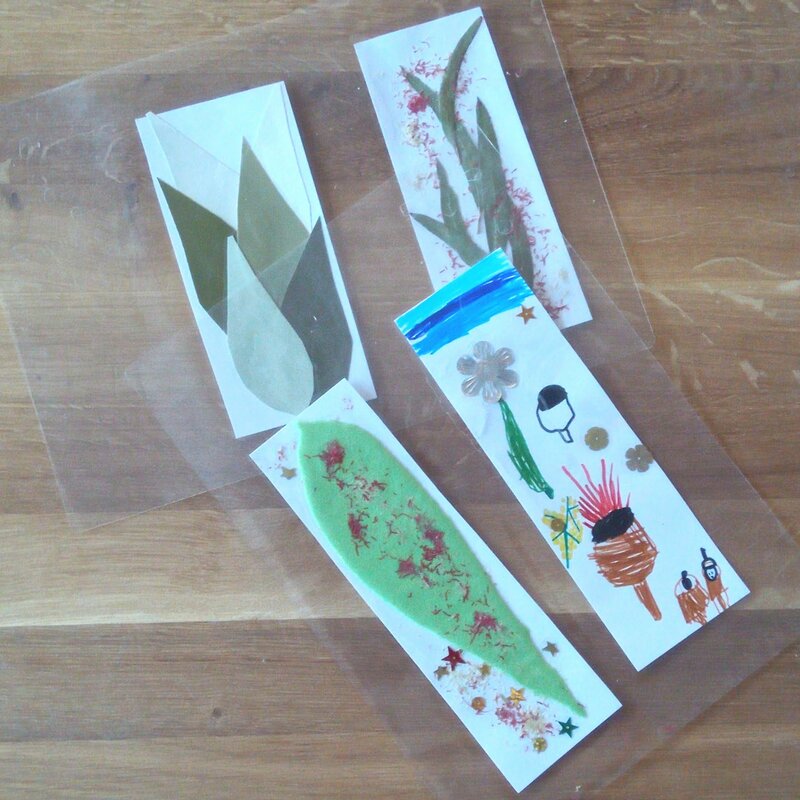 To make we cut our card to bookmark size shapes and everyone decorated however they like. It was interesting to see how everyone chose to show their creativeness. 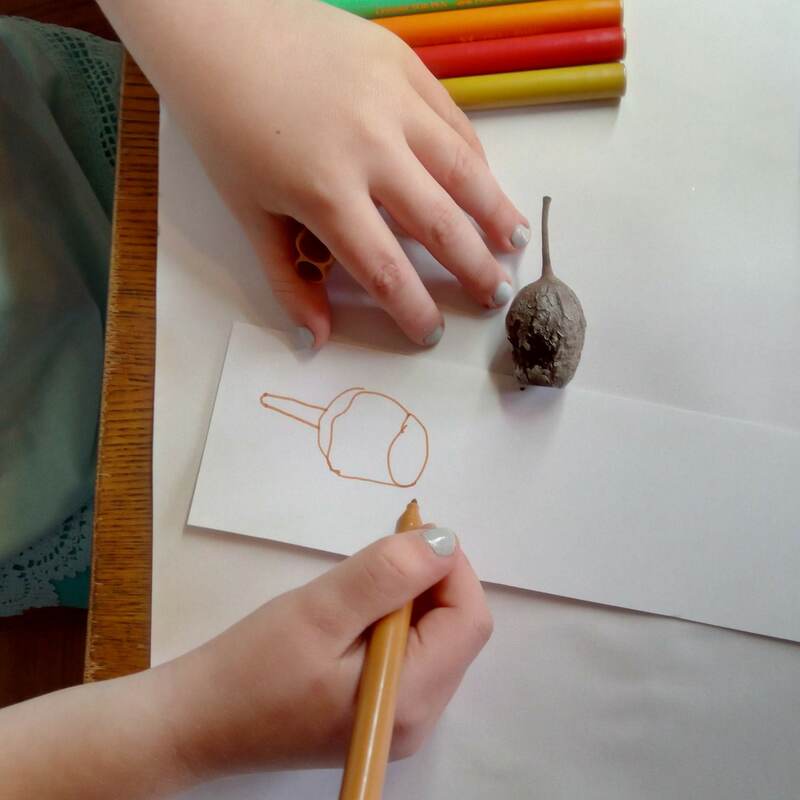 Some just drew with textas, some cut and pasted from our mixed craft stuff box. There’s lots of ideas here for your groups inspiration. To laminate the bookmarks though you will need to keep them quite thin so they go through the machine. Next we put them through the laminator, some had to go through twice to make sure they sealed around the bookmark properly. Then we trimmed the down and punched a hole into the centre of the top of the bookmark.We finished them off by tying ribbon, jute or string through the punched hole. 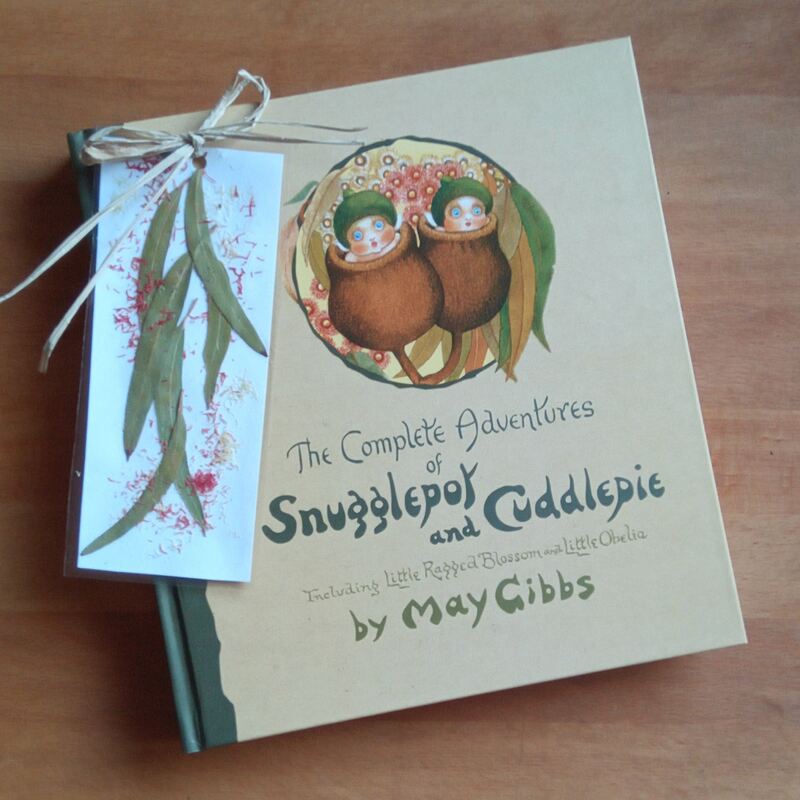 The Complete Adventures of Snugglepot & Cuddlepie 100th Anniversary edition is a fabulous keepsake for your children’s library. We have loved reading ours together and using our new bookmarks of course. « Looking For Summer Holiday Reading? 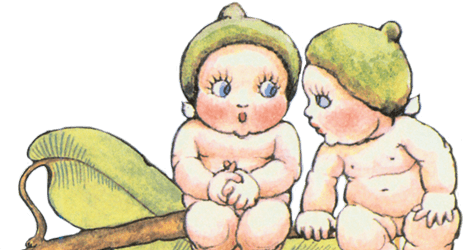 May Gibbs Gumnut Babies Are Perfect!